This blog is a continuation from the blog I wrote last year about the top 10 tourist spots to visit in Northern Luzon 2018. Not a lot has changed however, I have added Bataan as a place I have been to since I wrote the original article to make it a top 11 tourist spots to visit in Northern Luzon. I have also made a few minor updates and have included more videos at the bottom of the article for your enjoyment. Just like last year (2018), we are still focusing on places that lie within the regions that include Central Luzon and north thereof. Most of the Central to Southern Part of Luzon is a lot more accessible. This in itself is worthy of another blog which I cover in my top 15 tourist spots in Southern Luzon in 2019. The Northern parts of Luzon have some the best places in the Philippines to visit, however, a lot of these can take a long time to get to. Most of these places, as you will read, are only accessible by road which adds to the travel time. However, when you consider arriving at an airport, checking in your luggage, sitting around waiting for a plane, delayed flights, flight cancellations etc, then some of these places in Northern Luzon, and the time it takes to get there is about the same and often times, less. So get over the “driving” factor and just get out there and explore Northern Luzon! The Department of Tourism in the Philippines (DOT) and PHILTOA are currently making a big push to promote Northern Luzon (2018 campaign). As a result, there are some proposed developments particularly on the northwestern coast of Luzon Island. So let’s take a look now at the top 11 tourist spots to visit in Northern Luzon in 2019. I have been to most of these places but if I haven’t, I know people who have. That’s why these places are on the priority list to visit if I haven’t visited these places already. Located in Ilocos Norte, this is a place that is relatively undiscovered and still one of the most naturally preserved Philippines destinations. I think this is because it’s too hard to get to! Saud Beach is the main attraction and is known as known as the “Boracay of the North”. With beautiful powdery white sand and crystal clear blue waters, it is easy to see why. One of the other attractions in the area is the Bangui Windmills which is a windmill farm that is only about 20 kilometres from the Saud Beach area. Unless you’re prepared to put up with a 10-hour drive, Philippine Airlines (PAL), fly to Laoag once a day. This then leaves you with about 80 kilometres to travel to get to Pugudpud. Bataan is actually a province in the region of Central Luzon. It is very unique in that it’s a peninsula so there is water all around it except to the north. However, it’s the beaches on the west coast that are the most notable. 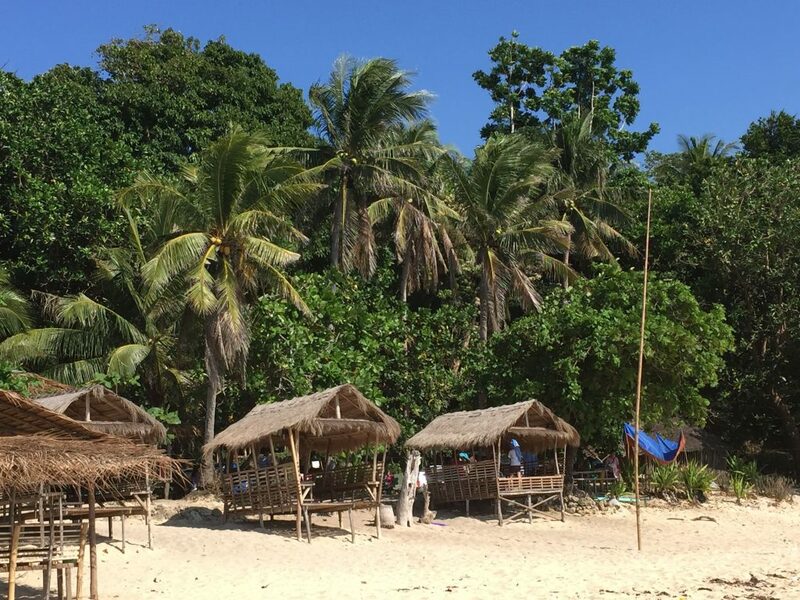 In Morong, Mariveles and Bagac there are some emerging beach resorts showcasing white sand beaches and stunning coves that are surrounded by cliffs that offer breathtaking views across the South China Sea. Another spectacular landmark is the Mt. Samat National Shrine which is a monument created in remembrance of WWII victims. Here you get some absolutely sensational views looking east across Manila Bay. There is also the nearby waterfall, Dansulan Falls, which is a great place for a picnic and relaxing. You can easily do Mt. Samat and Dansulan Falls as a day trip from Manila. Check out my vlog below and check out my epic road trip from all around Bataan. Vigan is the capital city of Ilocos Sur and is a UNESCO World Heritage Site. This is because it is one of the few places left in the whole of the Philippines where the old Spanish structures have remained relatively intact. Taking a walk through Vigan is like taking a walk back a couple of centuries in time to the old Spanish colonial era. You are able to take horse-drawn carriage (kalisa) rides around town which really helps you to take in the full experience and ambience of the town. If you can handle a good 6-hour drive, Vigan is within driving distance from Manila. If not, Philippine Airlines (PAL) fly to Laoag once a day. This then leaves you with about 80 kilometres to travel to get to Vigan. 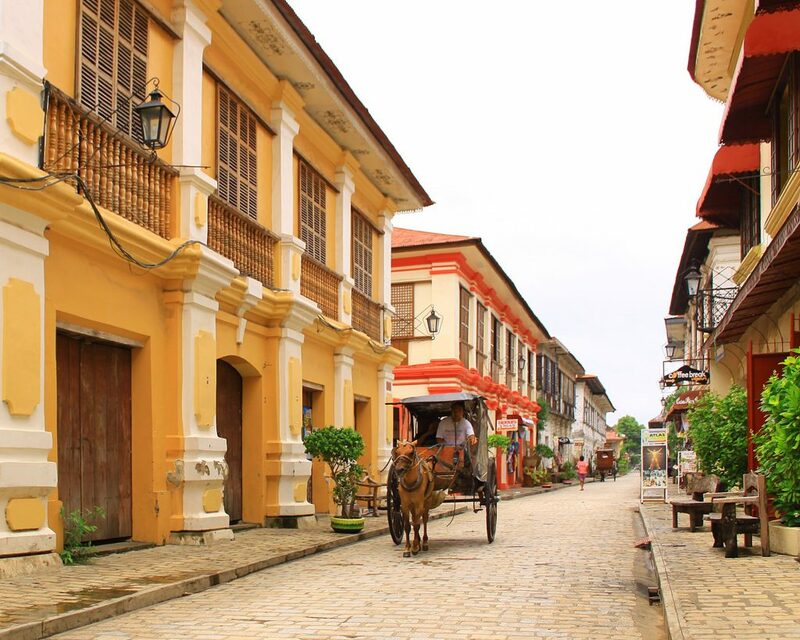 Being in Vigan is like taking a step back in time with the colonial style architecture and horse-drawn carriages. I was considering going to Baler which is renowned in the Philippines as being one of the best surfing places in the country, with beautiful beaches to match. I’m not a surfer, but I love a good beach. I had seen photos of Baler and it looked spectacular. However, one day, I was speaking to a Filipino friend of mine and he mentioned to me that Dinadiawan is a much better place. He said the beach is better and it isn’t overrun with tourists. Although it was about one hour drive further north than Baler, I thought I would check it out. I wasn’t disappointed. The sand on the beach is beautiful and powdery, and there was hardly any tourists. Unfortunately for us, there was a typhoon passing through at the time so we didn’t catch the sun and full beauty of the place. However, this did not deter us from having a good time. This is a place that I would easily go back to in a heartbeat. Unfortunately, there is no other way to get there other than driving which takes pretty close to 6 hours. However, the scenery along the way is spectacular and the roads are in very good condition. It is well worth checking out or I wouldn’t be writing about it. Please click on my video below to see more about this place. 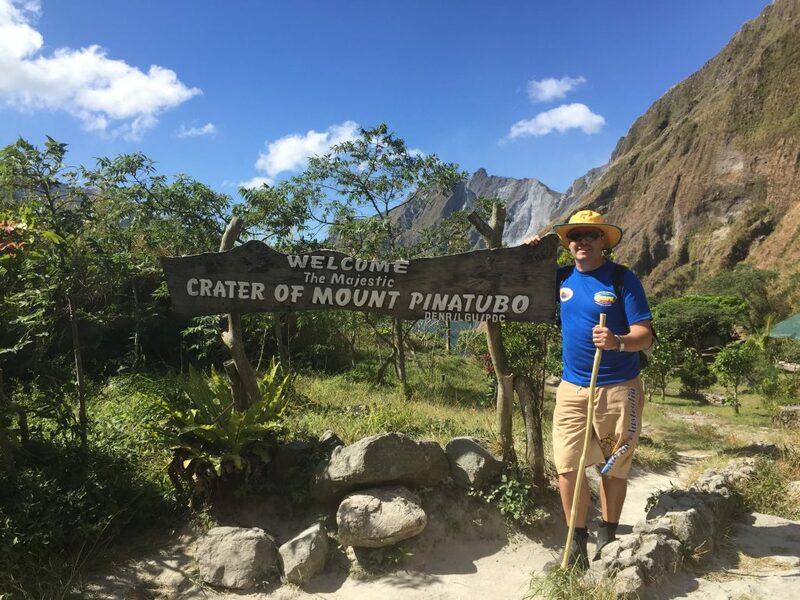 If you are one of the thousands of subscribers to my blog, you will know that I have mentioned Mt Pinatubo on a number of occasions. Located in Zambales’ mountain range, this really is a must see place. Rather than write a whole new blurb about Mt Pinatubo, you can read my blog. This is an island located on the Western Coast of Central Luzon in the province of Zambales. Like most of the places in the Northern part of Luzon, it can take some time to reach the destination from Manila. However, this is a beautiful little island with golden sand and beautiful clear water. There are a few resorts along the coast nearby that you can stay which only require about a 5 to 10-minute boat ride to get to the island. Potipot Island is starting to undergo some development but these are mostly native type cottages which complement the natural environment. Due to the Zambales mountain range that runs along the Western coast of Luzon, you have no choice but to drive around the mountains. This makes it a five and a half hour drive from Manila. However, you should not let this deter you because this is a beautiful place to spend a weekend and really isn’t that far from Manila when you think about it. Please click below to watch my video. This is one of my favourite places in the Philippines. 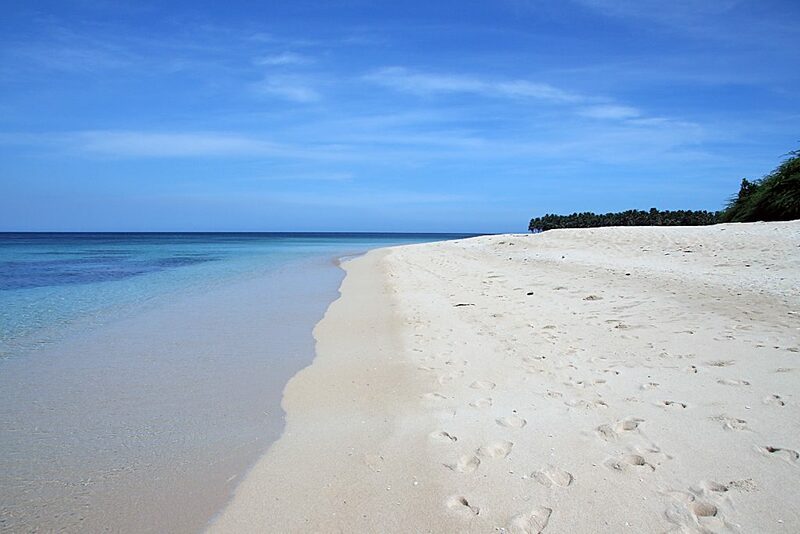 Located in Ilocos Sur, Bolinao has so much to offer. There are golden and white sand beaches, rock formations, caves, waterfalls, and historical landmarks. Then of course as it faces west across the South China Sea, you get some amazing sunsets. When I stayed here during the Easter period in 2015, I was amazed that I didn’t see one single foreigner. However, this does not detract from the place itself. On the contrary, it demonstrates that it is still a relatively undiscovered place. Like most of the places in Northern Luzon, you can’t fly there so you need to drive. At just over 300 kilometres from Manila, it can take you almost 6 hours to get there. Don’t worry about the travel time, it is well worth it once you get there. Subic Bay is a former US navy stronghold. 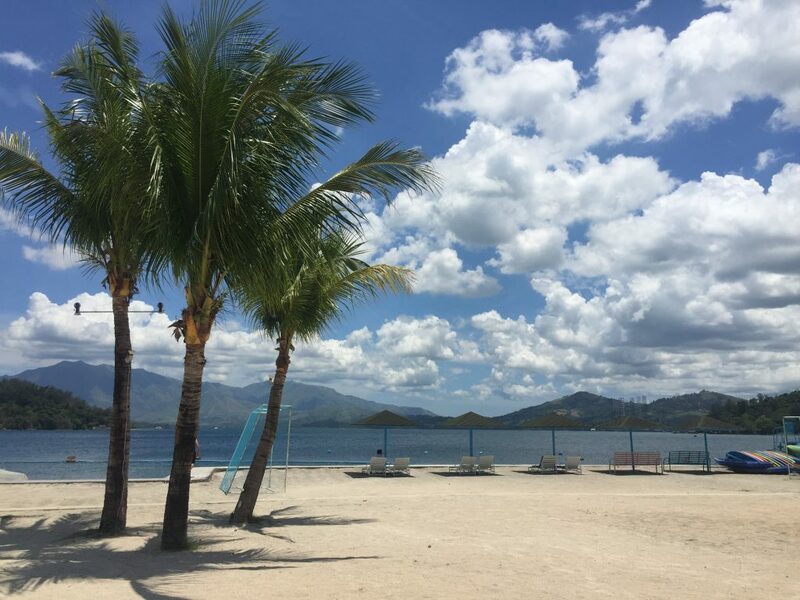 Located in the province of Zambales, Subic is not necessarily associated with having a typical tropical setting that one normally associates with the Philippines. However, there is actually a lot to see and do in Subic. There are a number of resorts in which you can stay. Some of these such as Camayan Beach, have pretty clean sand and clear water. There is also Zoobic Safari and Ocean Adventure which are great places to visit with families. If coming from Manila, it is only a 2.5 drive which is nothing compared to some of the other places in Northern Luzon. To make things even easier, if you are coming from overseas, you could fly into Clark Airport which leaves you with a drive of less than one hour. Subic Bay is a little underrated in my opinion. Although most of the best beaches there is part of a resort, it is only a couple of hours drive from Manila which makes it appealing. What can you say about this place? Located in the Cordillera Region of the Philippines, this UNESCO world heritage site is a must see if you are in the Philippines. The 2000-year old rice terraces were carved into the mountains of Ifugao by ancestors of the indigenous people. They did this using the most primitive tools known to man. The Rice Terraces are commonly referred to by Filipinos as the “Eighth Wonder of the World”. They range in height from 3,300 to 4,500 feet above sea level. Due to the nature of the terrain, it can take close to 10 hours to reach the rice terraces by car from Manila. Just like most of the places mentioned so far, although it can take some time to get there, it is well worth it. 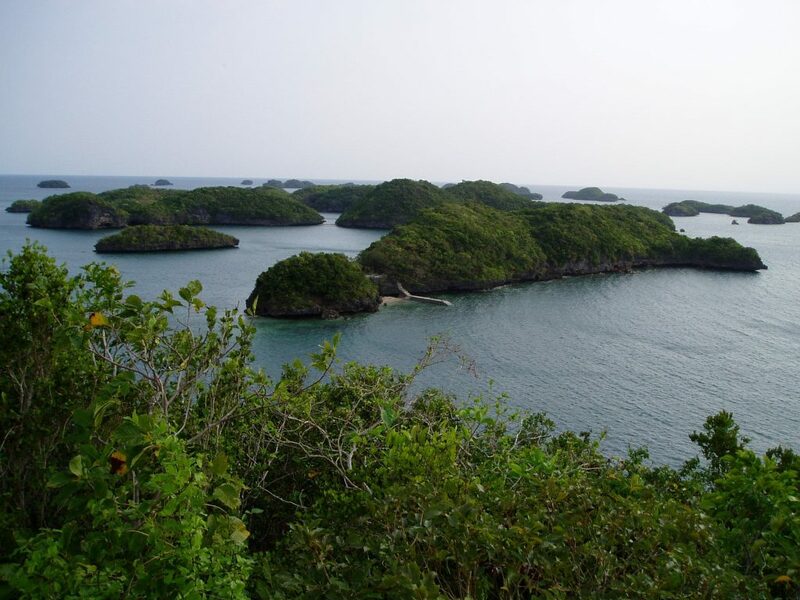 One Hundred Islands is located in Pangasinan province in the administrative region of Ilocos Sur. 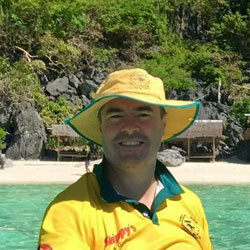 I first went to One Hundred Islands in 2005. I have really had a burning ambition to go back there since then. However, when you consider that the Philippines is made up of 7641 islands, if you spent 2 days on each island, it would take you 42 years to see the entire country. Can you see the dilemma? Anyway, I will get back there soon. Regardless of what I do, you should go and visit this place. As you are starting to probably gather by now, it takes a lengthy drive to get there from Manila. However, you should be able to reach Alaminos (the jump-off point) in just over 4 hours. One Hundred Islands is actually made up of 124 islands (at low tide) and is comparable to Bohol. The difference is the mounds are surrounded by water. 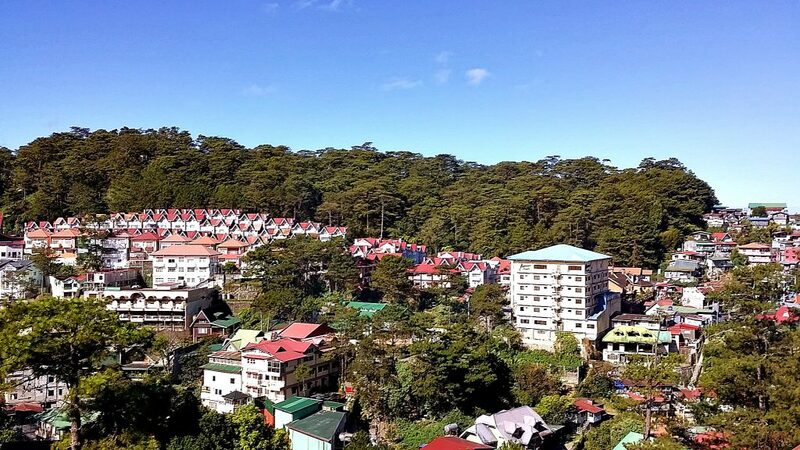 Baguio is located within Benguet province and is situated at an altitude of approximately 1,540 meters (5,050 feet). Located in the Luzon tropical pine forests ecoregion, it has become a very popular tourist destination at summer time (March/April). Due to its altitude, many people flock there to escape the heat in the lowland areas. As such, it has become known as the “Summer Capital of the Philippines”. One thing worth checking out is the Panagbenga Festival, which is a month-long annual flower festival held every February.This is good fun and well worth a visit if you can make it at the time of year. When I first went to Baguio in 2006, the roads were not as good as they are now. Now it is easy to reach Baguio in less than 4 hours from Manila. Just do it! Baguio is very mountainous which makes for some interesting architecture. Please like and share this article with friends and family or leave your comments below and please check out my related articles below.